Isosceles, Equilateral, and Scalene. Yawn. Like people at a party you know youll never see again. Can we just talk for a second of the rockindom of the Stegosaurus? Those plates, what’s going on there? The boxer brief: The history of our impressions of the Stegosaurus is, as so many human trains of thought, somewhat humiliating. 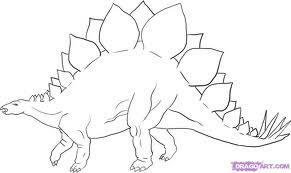 Stegosaurus means “roof lizard” because we used to think the plates laid flat over its back like roof tiles. We now believe they stood upright (in effect raising the roof, and maintaining name integrity). Old school: Lumbering. Tail dragging. Low feeders. New school: Nimble (ish). Tail raised high off the ground. High feeders. Instead of lummox-y monsters melting in the swamp of their own claymation, we now see a dignified, agile creature that might actually stand a chance against Jason AND the Argonauats. Stegosaurus had large deltoid (yeah I said deltoid) muscles for quick side-stepping, pivoting on its back legs and swinging a flexible tail that held those famous spikes. The tailspikes are called the “thagomizer” which is the awesomest name ever, and I kid you not, was coined by the GENIUS Gary Larson in a 1982 Far Side strip. It stuck, and is now official paleontology slang. This video, though painful, as nearly all modern media portrayals of dinosaurs are (save Jurassic Park), is actually a fairly well done depiction of the Stegosaurus according to modern theory. Tripod eating habits, high tailin it, and pivoting on the back legs to quickly shift their position. Also, extensive footage of the Stegosaurus naturally blanketed in the warm comforts of John Goodman. So, about those triangles, what the hell? They are called osteoderms, bone-like structures of the skin, basically giant scales. What were they for? As usual, we don’t know. Incoming Scientific Speculation alert!! 1) sexual attraction. the somewhat disappointing but relevant (cop-out) theory. Not something you can really go farther with when dealing with the extinct. Stegosaurus mating–there’s only guessing as to how that worked. ow. 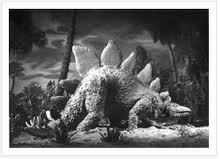 Paleontologists would kill to get a “handle” on Stegosaurus “love triangles,” which has always been a “prickly” subject. In The Dinosaur Heresies Robert Bakker claims that “Any Allosaurus unwise enough to bite into that ridge would have broken off its teeth without inflicting significant damage.” Breaking teeth off. I don’t why that’s so amusing to me. can we get the sound fx guy on that? Anyway, Bakker thinks the plates’ angles were adjustable, able to swing out to the sides a bit to better stave off a predator from its vulnerable flanks. This wouldn’t work on say, a crocodile (who have the same kind of back, with little mini plates), as their plates are firmly lodged width-wise in the tough skin . A Stegosaurus plates only just sits atop that skin, and could have left room for muscle manipulation. Oh to know what we’ll think in another 100 years! Meanwhile, the little people have their fun. 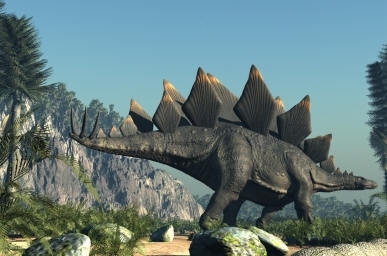 Colorado has wisely named the Stegosaurus the state fossil. Wait, we have state fossils?? What’s Oregon’s? Oregons lame state fossil. Made in China. The Dawn Redwood. A friggin tree, that A) still exists and B) is not even native! They thought it was extinct but then they found a grove in China, Bogarted the seeds and now it’s all over the country. Nothing against trees or anything, but seriously? To see if your state is as lame as ours, check out this website. This blog shall have no pituitary impact. Remember (the 80s) Geometry? Being introduced to Equilateral, Isosceles, and Scalene triangles like people at a party you know you’ll never meet again? You mingle long enough to wonder if Isosceles got regularly beat up by Hercules, and why Scalene is so obtuse. (You’re so obtuse.) How are you supposed to focus?? The teacher says “triangle” and naturally your first thought was those Stegosaurus plates called osteoderms, bonelike structures like giant scales shaped like triangles. naturally. Clearly the bizarre plates on the bus-sized beast of the prehistoric bad lands are of upmost importance. I shall fill in the lost unit of class that we all could have benefited from. Cuz I mean, really, what were those mysterious triangular plates for anyway? New school. Nimble (ish). Tail raised high off the ground. High feeders. Now we realize that Stegosaurus had large deltoid muscles for quick side-stepping, pivoting on its back legs and swinging a flexible tail that held those 4 (sometimes 8!) famous spikes. 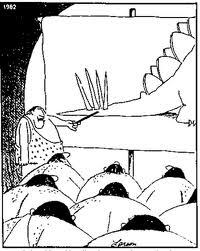 The tailspikes are called the “thagomizer” which is the awesomest name ever, and I kid you not, was coined by the GENIUS Gary Larson in a 1982 Far Side strip. It stuck, and is now official paleontology slang. What were these weird plates for? As usual, we don’t know. Incoming Scientific Speculation alert!! 1) sexual attraction. the somewhat disappointing but relevant (cop-out) theory. Not something you can really go farther with when dealing with the extinct. Stegosaurus mating, there’s only guessing as to how that worked. ow. Paleontologists would kill to get a “handle” on Stegosaurus “love triangles,” which has always been a “prickly” subject. In The Dinosaur Heresies (which is where much of this blog is coming from) Robert Bakker claims that “Any Allosaurus unwise enough to bite into that ridge would have broken off its teeth without inflicting significant damage.” Breaking teeth off. I don’t why that’s so amusing to me. can we get the sound fx guy on that? So anyway, you don’t put your armor over your strongest parts. Bakker believes that the plates’ angle could be controlled by muscle, enabling them to swing somewhat from side to side. Angling plates toward an attacker would lend some protection to the vulnerable flanks and give a more dynamic defense. 4) Communication. …Herbert and Harold discuss plate tectonics? Yeah, I’m not sure I’m buying that one. This video, though painful, as nearly all modern media portrayals of dinosaurs are (save the saintly Jurassic Park), is actually a fairly well done depiction of the Stegosaurus according to modern theory. Tripod eating habits, high tailin it, and pivoting on the back legs to quickly shift their position in fast defensive postures. And blanketed in the warm comforts of John Goodman. 1: Excellent Randy Newman reference. Can you somehow work in “Sigmund Freud’s Impersonation Of Albert Einstein In America” in the next one?? B: I know, right?! Trees are like, Lamest Ever! Turns out the state I live in has a goddamn tree for an official fossil also. The Palmwood. Even thought we already *have* a stupid “state tree” also! And they’re different trees! What, like we need TWO DIFFERENT TREES floating around on official state government stationary?! Why couldn’t it be something bitching like a pterodactyl? Or a dragon? That would be rad. Actually, a brief internet search confirms the Palmwood is not a tree as I had assumed, but rather “a Luxury Boutique Inn perched on the ridge of a four acre estate overlooking the peaceful Moloaa’ Valley located on Kauai’s northeastern coastline.” So our state fossil is a hotel we stole from Hawaii, which is kind of cool in its own right. At least the Palmwood is extinct! Instead of woops, found it in China (it’s actually part of the H which isn’t fair). Plus legend (the sacred legend of Bernardine fine jewlery’s website) has it that gemstones of petrofied Palmwood “Removes petty annoyances.” Like hotels in Hawaii! you are my fave enthusiast! We are surrounded by coolness yet fail so severely. Let’s see, WA has a mammoth, ID has a horse, CA has a saber-toothed freakin cat and we, have, a, tree? A feathery one at that. 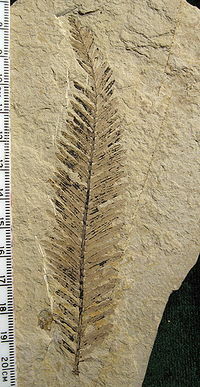 What, were fossilized pansies taken? (Just checked, nope!) All fossils are cool, but c’mon! 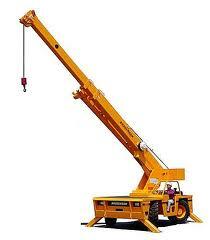 If I ever get me a crane, I’m adding a thagomizer straight away! See, how could you not take Larson seriously? He has scientific credibility (which of course we already knew).